Hamilton May is pleased to present a comfortable apartment with a beautiful view, located in the city center. Hamilton May presents a spacious and very bright apartment in Mokotów. Hamilton May is pleased to present a spacious property located at Szucha street, which can be used for both office and residential purposes. Hamilton May presents a designer apartment with a fireplace offered for rent in Saska Kępa. The property's windows face three sides of the world. Hamilton May presents a comfortable, spacious apartment in a unique location. 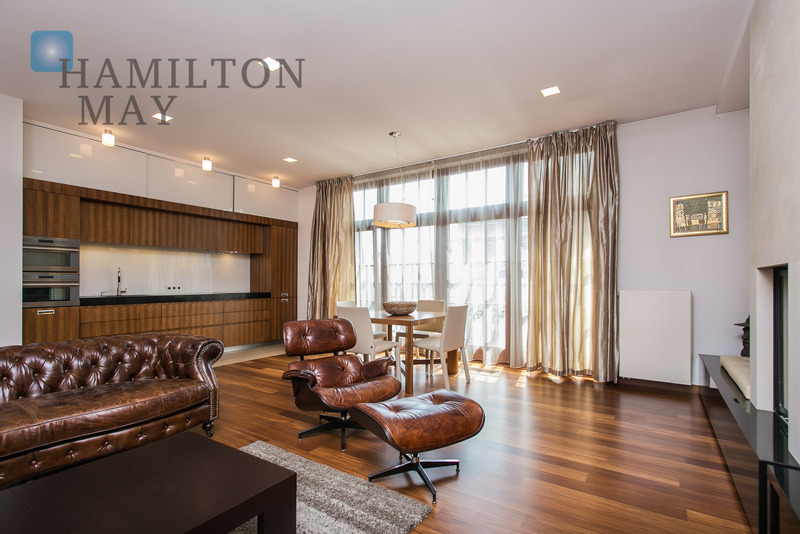 Hamilton May presents a spacious apartment available for rent in a prestigious investment. The price for four bedroom apartments is determined more by the location and standard of the apartment rather than the size. The average prices of four bedroom apartments in the Hamilton May offer, which are of a high standard, are generally in excess of 5000 PLN per month + administration fees and bills. A viable alternative for some tenants in Warsaw is to rent a house rather than a four bedroom apartment, though houses will generally be out in the suburbs and some tenants wish to have an apartment in the city centre within walking distance of amenities and sights. In most modern developments, tenants of four bedroom apartments will also be able to rent at least one protected parking space with their apartment.